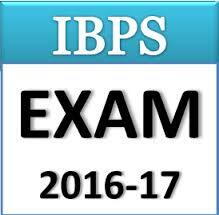 IBPS Clerk Recruitment 2016 Notification – (आईबीपीएस क्लर्क भर्ती अधिसूचना) The online examination for the next Common Recruitment Process (CRP) for selection of personnel for Clerical Cadre Posts in the IBPS Clerk Participating Organisations listed below is scheduled in December 2016. Age Limit – All Interested students first check their age which is compulsory in between 20 to 28 years as on 01.08.2016 candidate must have been born not earlier than 02.08.1987 and not later than 01.08.1996 (both dates inclusive). Check IBPS Clerk PWD Eligibility Criteria. Educational Qualifications – A Degree (Graduation) in any discipline from a University recognized by the Govt. Of India or any equivalent qualification recognized as such by the Central Government. They should have to submit graduation marks while they submit IBPS Clerk Online Application Form. Selection Process – All of participant’s will be selected by their score card of Common Written Examination (CWE). Qualify candidates will be called for document verification and will get appointment letters. Eligible Candidates can require filling Online Application form of IBPS Clerk 2016 via IBPS website. Before applying online for common written Exam for Clerical cadre, Read IBPS Clerks notification Pdf carefully and apply before the Last Date 01.09.2016.